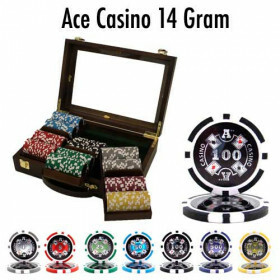 Get a poker chip set you can be proud of with this 500pc Ace Casino poker chip set in a custom walnut case. 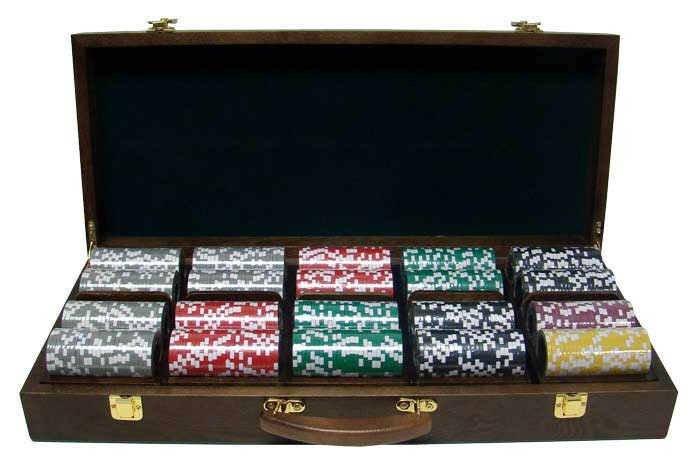 The chips look and feel like professional casino chips, and the walnut storage case features removable chip trays that will keep your game organized on the shelf and on the table. 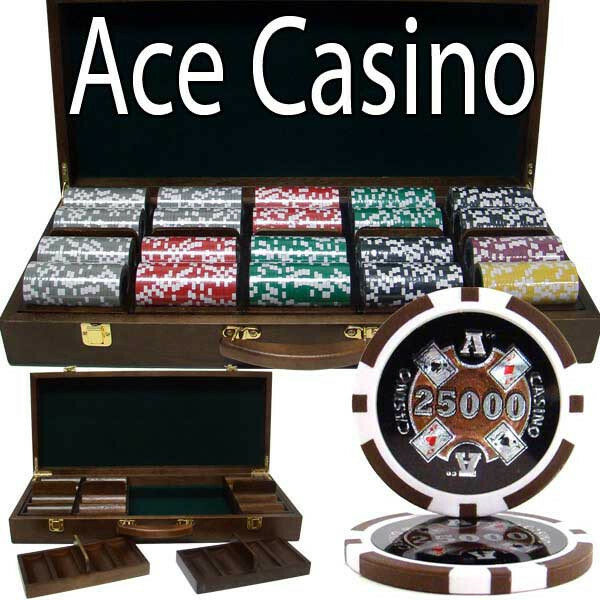 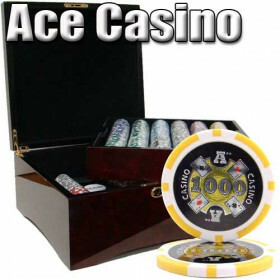 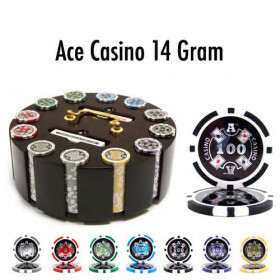 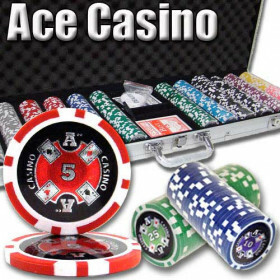 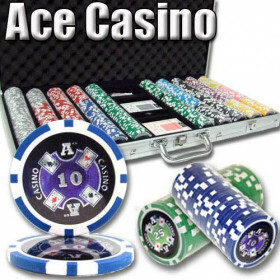 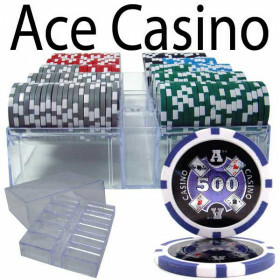 500 Ace Casino poker chips, 2 decks of playing cards and a free dealer button. 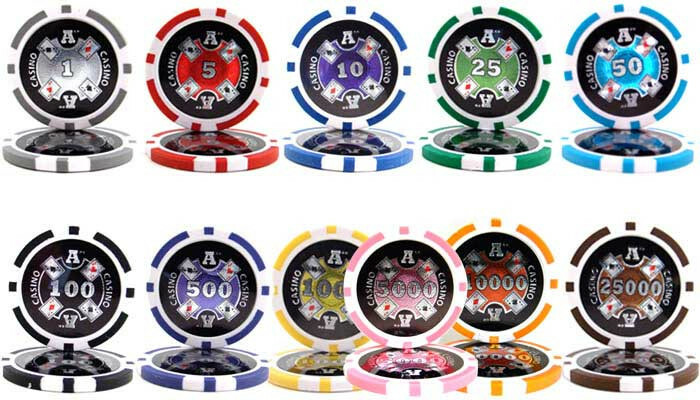 Get a New High Quality Set of Clay Composite Poker Chips Today! 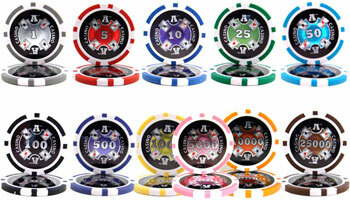 Are you ready for the big leagues? 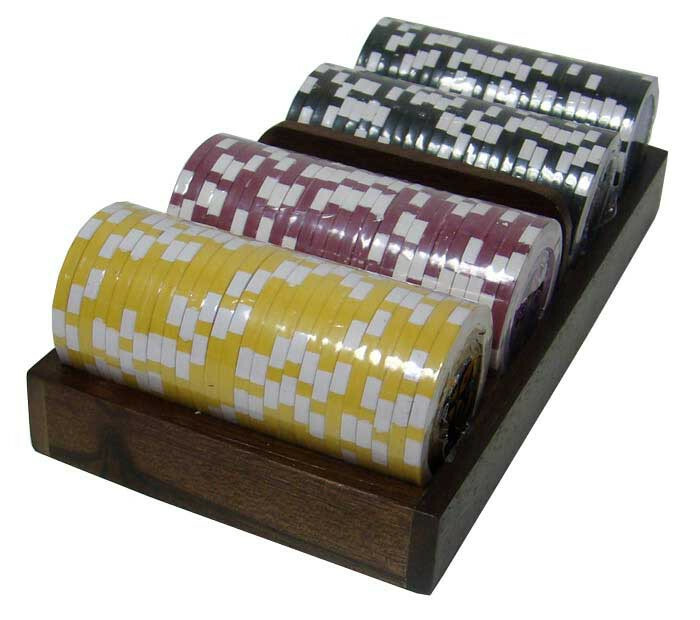 Upgrade your home poker game with class and style at an affordable price with this high quality walnut poker chip cae. 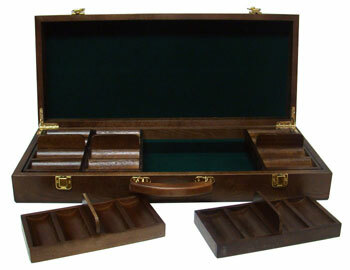 The case holds up to 500 chips and has 5 removable chip trays that hold 100 chips each. 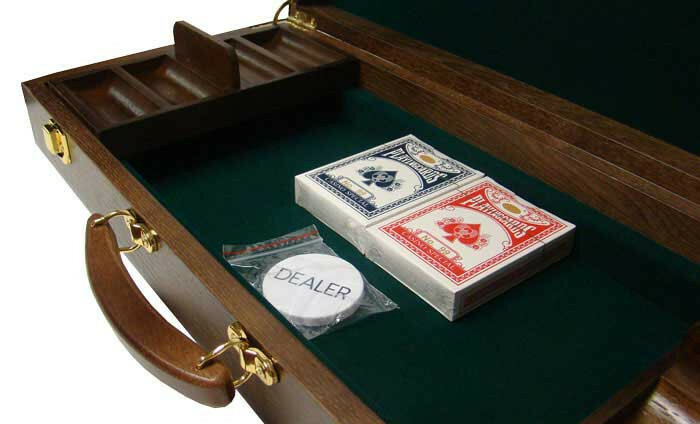 No more chips all over the table, now you can give each player their own personal tray. Not just a cheap plastic tray, but a high quality wooden tray. 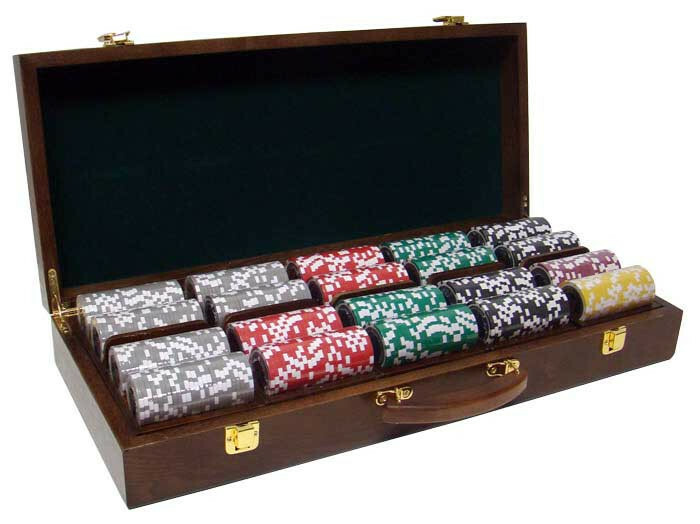 There is also a storage space below the trays to hold your cards, buttons and other accessories to complete your home casino set.